Since its debut in 2010, Instagram has grown into the number one social media platform for engagement. With over 700 million active users, Instagram tops rival social networking giants such as Snapchat and Twitter. Between its mobile functionality and visual nature, Instagram is a must when it comes to customer engagement. But, how do you gain followers? Enter Instelite. Think of them as an Instagram guide. They use their our own proprietary algorithms to extract users that are highly likely to engage with your page and use targeted interactions to skyrocket your growth. In short, Instelite works to grow your Instagram account using the same techniques used by top influencers. And, there are few influencers in the Instagram game quite like National Geographic. It would be hard to imagine another company more tailor-made for Instagram than National Geographic. 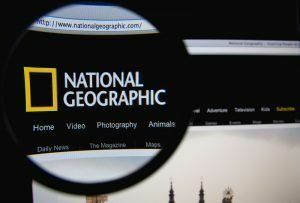 National Geographic, or Nat Geo, is one of the largest nonprofit scientific and educational institutions in the world. Their magazines, films, and photos are known the world over for their focus on geography and natural science, as well as their aesthetic beauty. Since Nat Geo’s brand is so well focused, their content is able to follow through with their already established direction. In a recent interview with Recode, National Geographic magazine editor Susan Goldberg said, “We started out with a story and that strong photojournalism, sending writers and photographers all over the world, taking images like nobody has ever seen before….” One quick scroll through Nat Geo’s Instagram feed shows exactly why they are the most popular account on Instagram with 89 million followers. Hashtags are a word or phrase preceded by a hash or pound sign (#) and are used to identify messages on a specific topic. If your account uses at least one hashtag, you will experience at least 10% more engagement. Almost every National Geographic post uses the top hashtags, including #love and #travel. This ensures they’ll gain as many followers as possible on Instagram. But, they don’t stop there. National Geographic create branded hashtags that speak to the specific story of the photo, as well as their overall brand. For example, on a recent post featuring a school of sharks, National Geographic used these hashtags: #sharks #savesharks #oceanicwhitetip #bahamas #predator. Anyone scrolling through the content found in these hashtags will quickly find National Geographic. When doing an Instagram search, users are typically looking through the photos. But, what happens when they see a photo they like and want to dig deeper? Captions are so important to completing the experience for your followers. On a recent Instagram post, they showed an older man in China stretching his leg straight up flat against a tree at sunrise. It’s a striking image, but the caption provides the additional context, which is that many older Chinese citizens can be seen stretching in public areas across China. Whenever you’re posting a picture, always be sure to provide the whole story. Give your audience the opportunity to better understand your content and you’ll provide them with more opportunity to become engaged. With a 600 word capacity for your captions, you have more than enough room to tell the story of your company. Instelite knows what works best on Instagram and they know that National Geographic just works! Since 1888, Nat Geo has been a treasure trove of beautiful photos, thus making them perfect for Instagram. But, they use all of the tools that Instagram provides, and that’s why they’re so popular. When trying to get followers on Instagram, don’t just take one page from National Geographic– take several!